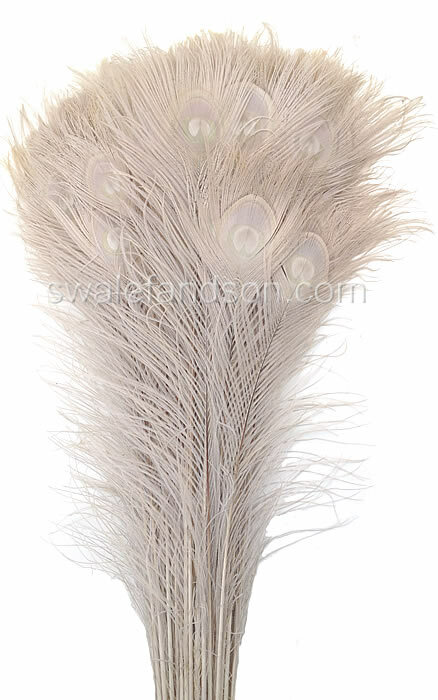 These Peacock Feathers are not white, but are often mistaken for white. These feathers were once iridescent blue like a regular Peacock Tail Feather, but they were put through a degrading process that strips the feather of it's natural pigmentation. The end result is a beautiful light creamy tan color, perfect for floral arrangements and other decorations.